Now, there is a right way and a wrong way of putting on a corset, and as this lesson should appeal to every woman, young or old, it should be learned with care and followed scrupulously. First of all, the stay lacings should be long and made of silk. Silk is more expensive than cotton, it is true, but it wears well and is very comfortable. 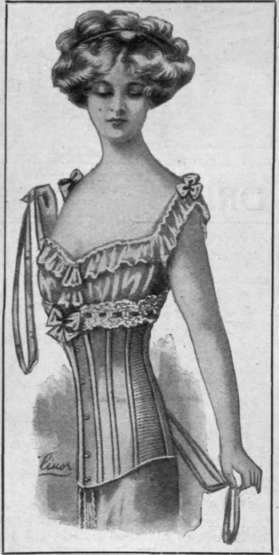 The round cords that are substituted for silk ones in cheap corsets hurt the spine and make it tender, mark the lingerie, and produce a feeling of discomfort. The flat cotton laces are better, but the flat silk ones are the best. There is another good reason why silk laces should be chosen. They can be pulled in much more easily than cotton ones, and retain their place when tied in a bow. Furthermore they " give " with every movement of the figure, and add, therefore, to the grace of the wearer as well as to her comfort. Having loosened the laces, which will have been threaded through eyelet-holes up the back in such a manner that they can be pulled out in the accustomed way in two long loops on the waist-line, hook the fronts together. The corset will be very loose; there must have been no strain placed on any part by the process of hooking. Now make sure that the clothing beneath the corset is comfortable. Then proceed to pull the lacings in at the back, making a very great point of giving the lungs ample play. Fasten the laces on the waist-line at the back first of all, then pull in the lower part from the waist downwards, and tie them also. It is not a good plan to bring the waist laces round to the front, because the extra bulk of ties in front is awkward and unnecessary, and a feeling of restraint is given to the waist by the ties. Some stay-makers provide three laces for their long-pattern stays, one above the waist, one for the waist, and the other below. Be sure to pull the corset down in front before fastening the suspenders and tie in a bow the little ribbon ends beneath the bust at the top of the corset, whilst sitting, so that plenty of freedom and comfort may be secured for that part of the figure. Finally, fasten the front and side suspenders, and be sure there are the latter as well as the former on your corset, to keep it well down, and see that the stockings come high above the knees, in order that the action of the knees in walking shall not drag the corset out of place. Not any of this advice is superfluous. 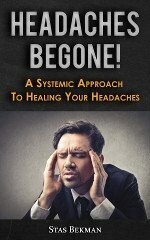 It sounds wordy, but when the process of putting on has once been learned it can be carried out very quickly, and will be found conducive to comfort. Corset for singers. This is made with gussets of elastic inset to give freedom for deep breathing influencing the fashion in corsets. The straight-fronted stay, in its present modified state, suits the build of body of the English race, and has banished the terrors of the spoonbill busk and its ancestor, the screw-busk, so important an item of the stay - though so uncomfortable - that it was handed down as an heirloom from mother to daughter. But, to use an old saying, " it takes all sorts of folk to make a world," and all those folk have different figures. There is the short-legged and long-bodied woman, for example, a difficult individual to endow with elegance. Let her wear a stay that minimises her length of body, one cut short beneath the waist, in order to raise the apparent waist-line an inch or so higher than it actually is, and so to give less length to the trunk and more to the legs. Thus her figure will look symmetrical. The woman afflicted with embonpoint, instead of pinching her waist into dimensions out of all proportion to her bust and hip measurements, should distribute her superfluous size. 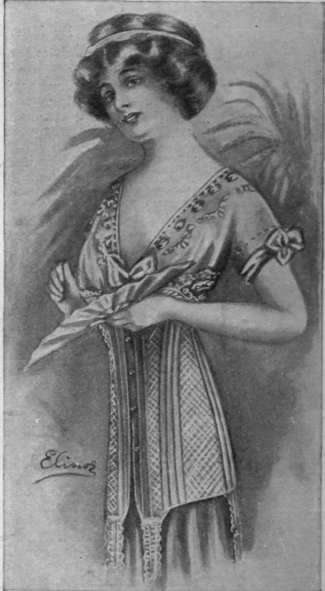 She should not put on very high corsets to disguise the "ronde-lette" of her figure; a bust bodice worn with a moderately low-cut stay will give her a far more graceful air than a corset that pushes the bust up unduly. Beneath the waist she may lace herself firmly and trimly; the support will do her good. Sufferers from heart trouble will find a stay laced in front a relief, and should use elastic for the purpose, because it will stretch in response to respiration. For singers is made a special stay with gussets of elastic inset to allow for breathing, and the clever corsetiere will always ask the singer where she breathes from, so that the precise requirements of each may be met. There is a salient difference between the capabilities of material for the corsetiere's purpose, and as I am approaching the consideration of the requirements of the woman of forty and upwards, I shall do well to attack the subject here. Corset for the tropics, with open network let into the sides abomination, and betrays the use of clumsy substitutes for whalebone, such as steel, reed, and imitation bone. Happily the days of grey and brown corsets of purely utilitarian aspect have departed. Exquisite silk broche corsets, trimmed with costly point d'alencon lace and studded with real jewels set on the fasteners and suspender clasps, are ordered in white for wealthy brides, to match the marriage lingerie. It is a pretty notion to have the corset set with the bride's birthday stone or with turquoises, so that the "something blue" prescribed by the old distich to act as a luck - bringer on the wedding day may be secured.